The Red Pen was meant to help writers use mechanics better. After teaching English for 30 years, perhaps Jeff is “knowledgeable” enough to be taken seriously. However, the blog has taken on a personality of its own and often there's no need to take this forum too seriously. Laugh at times, but remember, Jeff also wants to pass along tidbits of knowledge. Writing is fun work; reading, on the other hand, can be fun learning. Read at your own peril, but if you learn a thing or two, enjoy the experience. There are almost 989,000 words in Webster’s dictionary. My current novel is approximately 72,000 words long. If I used every word in the language equally, I could write almost fourteen similarly lengthed books before I had to repeat a word. Yet in my current work, I used the word just 300 times. I used the word just more than I used the word said (only 271 times). I used the word pulled almost 100 times. (I didn’t use the word lengthed ever because Word says it’s not a word, yet I’ve used it twice already in this blog because I’m a crazy word-nut). I was just thinking that if I just used the word just just a few fewer times, my plot would stay just the same but my writing would be just that little bit better—that little bit that might just win me over a few more readers. Seriously. And why does my character have to pull a gun or a knife out and pull out his wallet and pull his motorcycle off the highway and pull into the driveway and pull an arrow from a quiver and pull a picture from his pocket and pull on a rope and pull a weapon back for a second swing and pull on a chain and pull the Staff of Moses from a rock? There are other words than just and pull. Webster has a stockpile of almost a million words from which to choose. Word has a handy-dandy thesaurus. (Handy-dandy isn’t in it, but it should be). There is a “Find” feature on Word also, which can be used to remind us that we’re using a word too much. And there is also such a thing as a pronoun to use as a replacement word. I used the word stop 58 times. I should stop using it so much. I should try a synonym. I used is 318 times—and I wrote the book in the past tense. Plus, there’s no action in is. I used was 974 times. One out of every 74 words was was. There is no action in was either, yet my novel is an action/adventure. It’s full of action!! Just think how much more action there could have been if I would have stopped for a minute and pulled out my repertoire of action verbs. Numerous times I used the same word more than once in the same sentence. “He just pulled to a stop and pulled out his cell-phone just as the ring tone stopped.” (That icky sentence wasn’t in my current work in progress—I should never be taken too seriously). How about saying this? “He skidded into a parking space and yanked his cell phone from his pocket as the ring tone concluded.” Or how about…“He eased his motorcycle to a rest along the side of the road but was unable to slip out his cell phone before its tone terminated”? Or how about…“The vehicle crashed and rolled down the expressway, air bags deploying, window glass shattering, seat and steering wheel pinning his body as his cell phone’s blaring ring tone ceased its musical notification”? And let me ask this. Why do we as writers feel that when we finally get that rough draft done that our book needs to be published before the next full moon? Shouldn’t we take more pride in our work? Shouldn’t we let people read it who aren’t afraid to offend us or tell us the truth or give us suggestions? Shouldn’t we be willing to go through it all and make plot adjustments, add better clues, make a better ending, word our sentences better, and stop with all the repetition…and stop with all the repetition? I have a “beta reader” who’s a brave lady. She tells me when I need improvement. For the word pulled she wrote—and I quote—“You have a love affair with this word.” For just, she simply put “delete” over and over and over. She typed, “You’re overusing the word some….I should start counting.” I counted them—all 118 of them. One time she noted, “This is the so-manieth time you’ve used this word.” So-manieth isn’t in Webster’s either, but she made her point. (Zombie-like isn’t in the dictionary either, but I fear I’m creating little zombie-like readers if I don’t rush to make a useful point soon). Anyway, so now that I’m done with a productive round of content editing, I’m sending the manuscript to seven or eight readers with these instructions. “If you have questions, ask them. If you think a thought, write a comment. If you have a suggestion, tell it to me. If you find a mistake, note it. And if you feel the need to compliment me, that’s okay too.” In the meantime, I keep reading it. There’s always room for improvement. I want my book out as badly as the next person, but I want it to be something I’m proud of, not simply something I finished before moving on to the next project. Please read this closely, my fellow writers: The next step after finishing the rough draft is NOT choosing a cover. You see, choosing a great cover will motivate people to pick up the book and give it a try, but what’s inside the covers will motivate people to share, recommend, gift, and talk about your book—and read your next one. Don’t just write your book and publish it. Take some time to repair it and improve it. 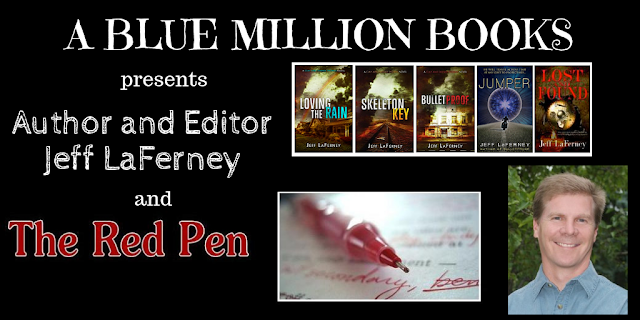 Pull out your red pen to do the work of a serious writer. Stop being in such a hurry. You might begin to feel somewhat zombie-like during the revision process, making changes for the so-manieth time, but by using the handy-dandy tools and people at your disposal, you (or I) might actually produce a work of art in which we can be proud. Clay Thomas has mind-control powers—powers he has learned are best to be kept secret and unused—except the secrets are harming the family relationships he values most. Then Jack Harding, a cold-hearted criminal and rival from Clay’s past, enters the picture. Because their sons are on the same basketball team, their paths intersect once again, and Jack is determined to exact revenge for past humiliations he blames on Clay. There are seemingly no ends to his diabolical plans: manipulation, humiliation, kidnapping, and even murder. When Clay realizes that his athletic son, Tanner, has the same parapsychological abilities, he pursues answers, and the father and son team sets out together to undo consequences from Clay’s past and to put an end to Harding’s plans. As his enemy closes in and Clay and Tanner’s powers seem to grow, Clay is forced to choose between protecting his secrets and protecting those he loves most. Clay Thomas and his son, Tanner, have mind powers. Tanner is a happy-go-lucky college athlete. 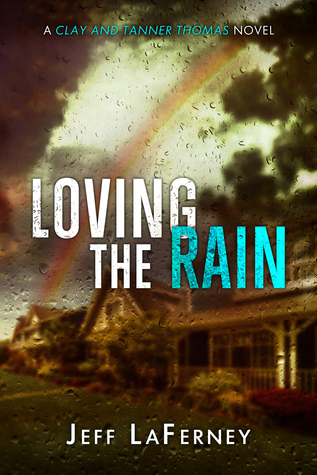 Clay is struggling to find purpose and meaning in his life until he meets Erika Payne. When he learns that Erika's husband, Adrian, disappeared seven years before in a tragic train crash and that her son has struggled with personal problems ever since, he decides to use his abilities to help her. With the aid of his son, the small-town police chief, and the despicable ghost of Adrian Payne, Clay seeks to find answers that will bring closure and peace to Adrian's family. When Clay discovers the ghost's buried body, foul play is confirmed, but once the investigation begins, more questions arise than answers. Parapsychology, the supernatural, science, and human elements seem to clash as key characters become suspects, yet the ghost himself and the medical examiner don't seem to agree that there was a murder. While Adrian's horrible secrets are uncovered, so are the secrets of several suspects, all of whom believe in their own guilt. Lives are turned upside down as the father and son team expose the truth. 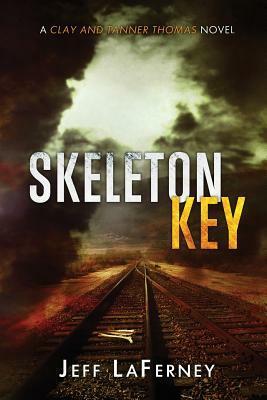 Father and son team, Clay and Tanner Thomas, have already used their parapsychological abilities to solve crimes, but never before to keep themselves out of trouble. After a devastating injury to his father, Clay Thomas is abandoned by two people closest to him while being pursued by the local police chief for crimes he didn't commit. While they investigate to discover the actual culprit perpetrating a series of local robberies, the spirited ghost of Bosley Pemberton appears, seeking their help to solve his eleven-year-old murder. 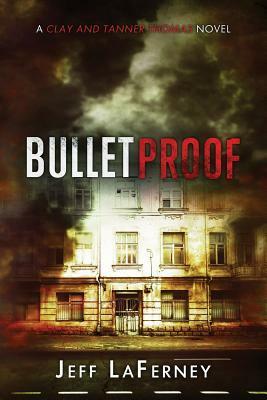 With unexpected assistance from a rank-smelling midget, a bad-tempered giant, a gossipy curator, and a rule-bending coroner, Clay and Tanner incorporate their unique mind-control abilities to dig up dirt on Bosley as well as the numerous suspects who had motive and opportunity to put him to death. The plot unwinds, exposing the mystery about the real thief and putting an unexpected spin on broken relationships that need mending. 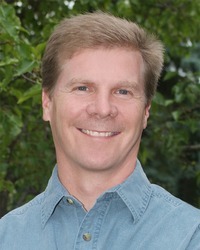 Jeff LaFerney was a full-time language arts teacher in Davison, Michigan, for 30 years. After coaching basketball for most of his career, he decided to write books instead and took on his new hobby. Now he spends his free time reading, writing, and editing books. He and his beautiful wife have two young adult children. His Clay and Tanner Thomas series focuses on a father and son team who use parapsychological abilities to solve mysteries. 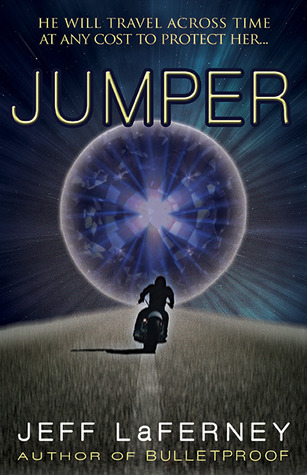 Jumper is a time-travel science fiction adventure. His latest, Lost and Found, is a unique mystery/treasure hunt with ties to World War II history. He has a blog called The Red Pen where he usually infuses humor to share about himself or to give inspiration or writing tips.